1900. 3.5 h.p. water cooled engine. Initially produced tubing and bicycles. 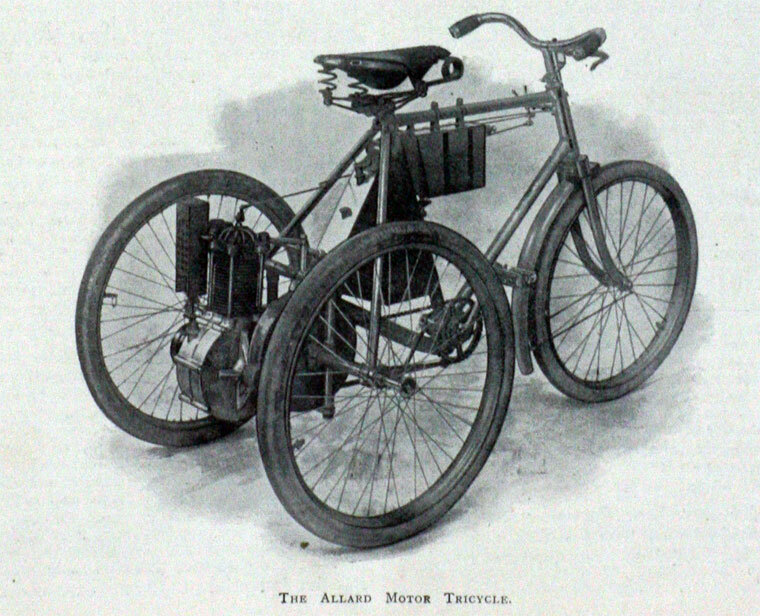 Allard built motorcycles from 1897 to 1902. 1898 Produced a car and a motorised tricycle that was exhibited at Crystal Palace. 1900 A four-wheeled car, of "Rapid" type, was involved in an early fatal road accident. The car was of light construction, with two seats facing each other. 1902 The inclined engine was replaced by a vertical one. 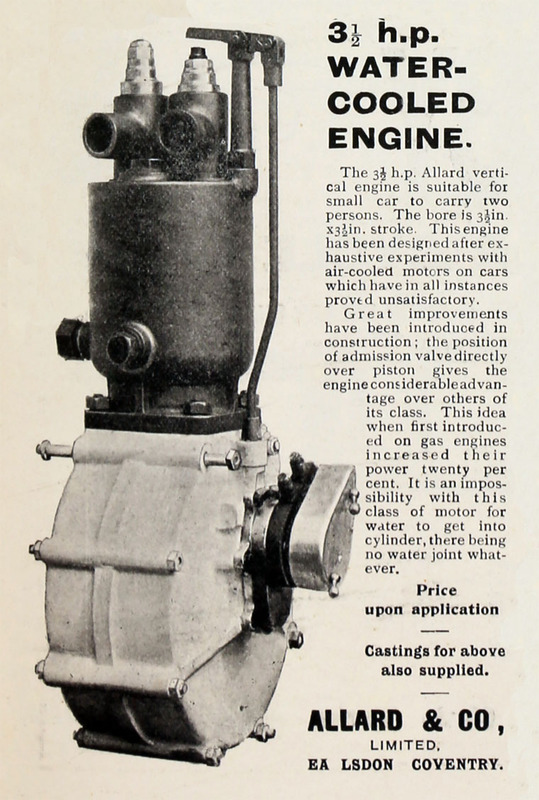 1901/2 The company merged with the Birmingham Motor Manufacturing and Supply Co and was re-named as Rex Motor Manufacturing Co and the products were then marketed by that name. See Allard Motor Co for information on the Allard company that produced cars from 1936. This page was last edited on 27 April 2018, at 13:05.